We had another unforgettable day at the National Livestock Show in Tullamore with our 16 strong team of cattle ending the day on a high doing the double with our senior cow champion “Clonagh Darling Eyes ET” taking the Overall Female and Overall Simmental of the year title and our senior bull champion “Bruchag Glenfiddich taking the Overall Male championship. Our team brought home a total of 7 first prizes, including five national titles, 2nd second prizes, two 3rd prizes and two 4th prizes. Our first win of the day came from “Clonagh Jubilant Fabulous” taking the top spot in the December heifer calf class. She is by Kilbride Farm Dragoon out of a Banwy T-Rex daughter, Clonagh Delightfully Fabulous. “Clonagh JLo Dora’s Girl” was placed 3rd in our first national class of the day despite been the youngest in the class the National Weanling Heifer Calf Class. She is by Kilbride Farm Dragoon out of twice Overall Simmental of the year, Clonagh Dora the Explorer. In the National Yearling Heifer Class we were placed 5th with our Kilbride Farm Dragoon daughter, “Clonagh Java Klassik Girl” She is out of a Starline Klassik daughter, Clonagh Wanda Star and full sister to Clonagh Gentle Giant, Reserve National Champion and Premier Sale bull champion. Our two junior heifers were placed 2nd and 4th in a strong National Junior Heifer class. 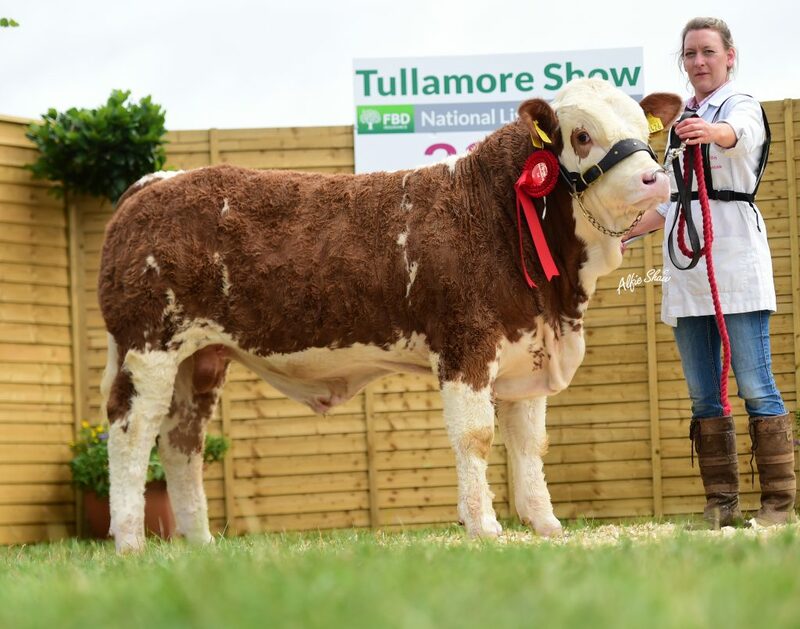 Taking the reserve title was “Clonagh High Heels Dora” by Kilbride Farm Dragoon out of twice Overall Simmental of the year, Clonagh Dora the Explorer. In 4th place was last years February National champion, “Clonagh Jessie Girl”. She is by Kilbride Farm Dragoon and out of Knockane Wanda. Retaining her National title in the Intermediate class was “Clonagh Hazel Eyes”. She is out of the magical combination that is Clonagh Darling Eyes and Kilbride Farm Dragoon. The highlight of the day was without a doubt winning the Jenna Stone Memorial Trophy, which as most will know was presented in memory of Lyndsey’s late sister Jenna who adored her Simmentals. 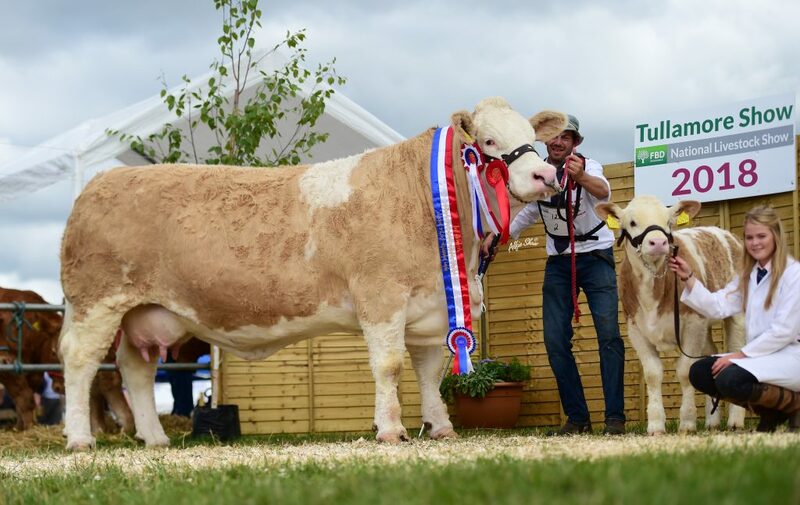 It’s a class we have been reserve in more times than we can count so needless to say it was an emotional moment when “Clonagh Gucci Eyes ET” was crowned the National Senior Heifer Champion. She is by Banwy T-Rex out of Milton Senhorit, making her a full sister to Clonagh Darling Eyes. The trophy had been won by our two families a total of three times since it was first presented in 1998 with “Milton Majesty” in 2003, “Jennalyn Crimson Lady” in 2013 and now “Clonagh Gucci Eyes.” Jenna and Danielle will be proudly displayed in Ballyfin for the next 12 months and we will make every effort to take her home again. Our next class was the National Senior Cow which was awarded to “Clonagh Darling Eyes ET” with her May 2018 born heifer calf “Clonagh Kizzy Eyes”. Darling Eyes is by Banwy T-Rex out of Milton Senhorita and full sister to Gucci Eyes above. 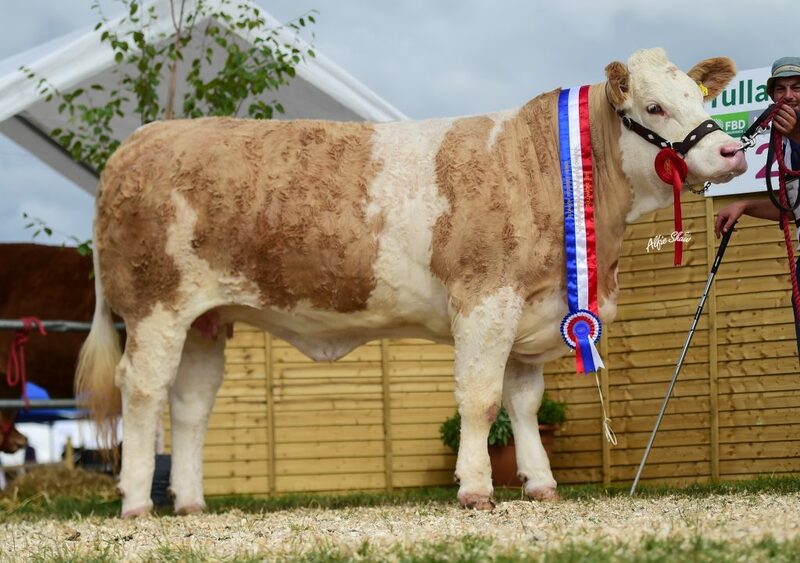 We had 4 females present in for the female championship with Jubilant Fabulous, Hazel Eyes, Gucci Eyes and Darling Eyes and were delighted to have our big lady tapped forward as the Overall Female of the Year for a seond year running. Moving on to the male section we were placed 1st and 2nd in the February 2018 bull calf class with “Clonagh Kango” and “Clonagh Kracker Eyes ET”. Kango is by Kilbride Farm Dragoon out of a Dovefields Gallant cow, Clonagh Tia Edel. “Clonagh Kracker Eyes ET” is by Hillcrest Butcher out of Clonagh Darling Eyes. Following on from this we won the first national male title of the day with “Clonagh Joker Rex” taking the National Weanling Bull title. He is by Clonagh Direct Debit out of Milton Senhorita, making him a three quarter brother to Darling Eyes and Gucci Eyes. 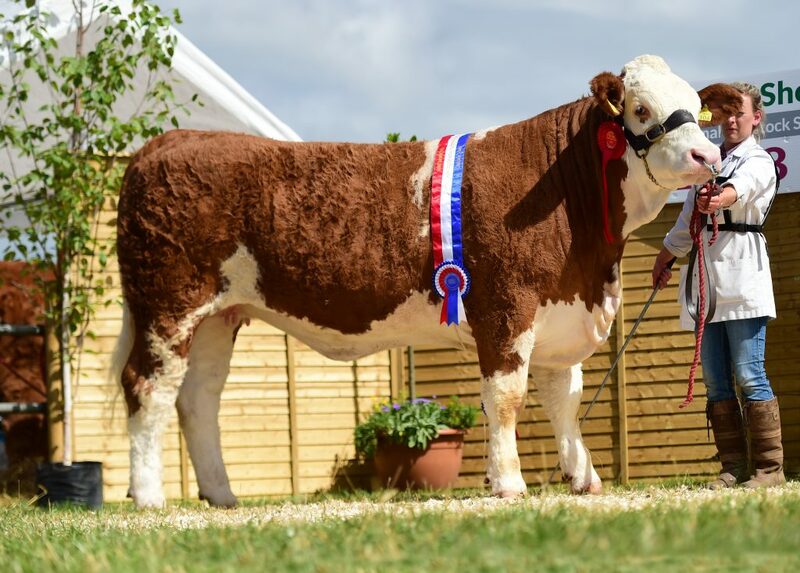 Our senior herd sire, “Bruchag Glenfiddich” was crowned the National Senior Male Champion and later tapped forward as overall Simmental Male of the Year. He is by Teviot Challenger and out of a Drumsleed Royal daughter, Bruchag Alana. Our team was made up of progeny by our past and present herd sires, Banwy T-Rex, Kilbride Farm Dragoon, Clonagh Direct Debit and Bruchag Glenfiddich. It was fantastic to see our clients also in the winnings with Clonagh Genetics progeny. 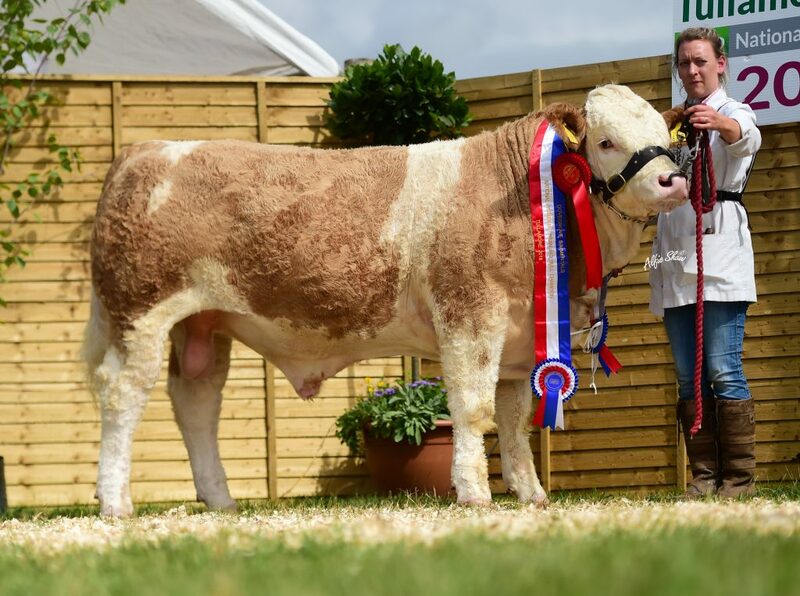 A big congratulations to Joe and James Kelly on winning the National Yearling Bull and Reserve Overall Male Champion with their Clonagh Direct Debit calf, Mount Jericho. Also congrats to Michael Keating on taking the third spot in National Intermediate Heifer final with his Kilbride Farm Dragoon daughter, Kickhams Haven. The National Livestock Show is without a doubt the highlight of our year every year, with a lot of extra hours put in beforehand. Our champions breed themselves regardless of what genetics we put behind them. The secret to our success is without a doubt the team behind it, from our parents minding the boys and stock at home to our friends and colleagues that help along the way. 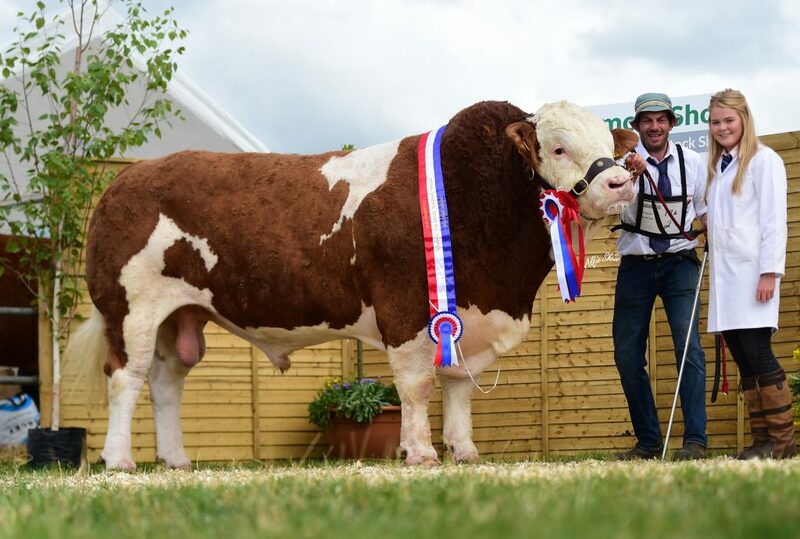 We would like to give special mention to our fantastic team for 2018, pro clipper Trevor Shortt, breeders of super stock bulls and trojan workers Dafydd Jones and Emma McAllister, the Lowry brothers, Sean and Peter for their amazing help in anything handed to them during the day, the ever reliable show star that is Cian Martin, our lucky charms the McPadden twins Paul and James and their sister Nicole, the man known as The Godfather, Padraig Gowing for transporting the second lorry and those who assisted in handling during the day, James Kelly, Conor Maher and Caoimhe Brady. Thank you all from the bottom of our hearts. Finally our sincere thanks to the committee of the National Livestock Show, Trevor Chadwick and his team for all of their help on the day as well as the ring stewards. We’ve said before, it’s like Christmas day in our house so just another 363 sleep til next year!